Our SumoSam will turn one this July. My mom is nagging me to look for a place where we could celebrate our little one’s special milestone. I repeatedly told her we will not party the way how we celebrated our Little One’s first birthday. First, we’ve got three boys in high school and our priority is tuition fee. Second, we could always have pancit for long life at home. My mother is still insistent. She wanted a birthday party for her youngest grandchild. Luck must be on my side that I got to learn about a new pizza branch near our place that offers the party package I just need. I want to please my mom and also keep the tradition. Likewise, I would want my youngest to know that despite money issues, his parents were able to give him a decent first birthday party. Of course, he has no idea why everyone is celebrating. He really does not have a concept of birthday parties as of the moment. But as he reached the age he can already think and understand photos and memories, at least he can check those photos of him and his first birthday party celebration. At Shakey’s Roosevelt, they are offering a buffet package at P17,000 for 30 persons, P21,000 for 50 persons, and P26,000 for 70 persons. This for me is affordable already considering what comes with the buffet package. As always, pizza has a positive impact on my boys. When the three boys graduated from elementary, I do remember we celebrated at Shakey’s. They always love their pizza with mojos and chicken. They also love to have their plate full of spaghetti even if they would claim they are all grown-ups already. I checked out Shakey’s Roosevelt party package and they have most of my boys’ favorites. Those were my Shakey’s favorites, too, and I believe we share the same liking with friends and relatives. Our Little Man’s first birthday theme was Justice League Lego. It was the choice of my boys. When I asked them should we celebrate our SumoSam’s birthday, what theme would they prefer? And they want the Justice League party theme. I have seen how the event host treated the party at Shakey’s Roosevelt and I am confident the guests would enjoy the gathering. We could also use the function room for two hours. The room also has a good air conditioning system. For P999, we could request a mascot appearance. Shakey’s has four cute mascots, namely Suzy, Zappy, Henny, and of course, Captain Shakey’s. Certainly, any birthday party will be merrier with mascots dancing and entertaining kids. Party boosts start at P4,000. These include getting a magician, bubble show, face painting or a candy buffet. 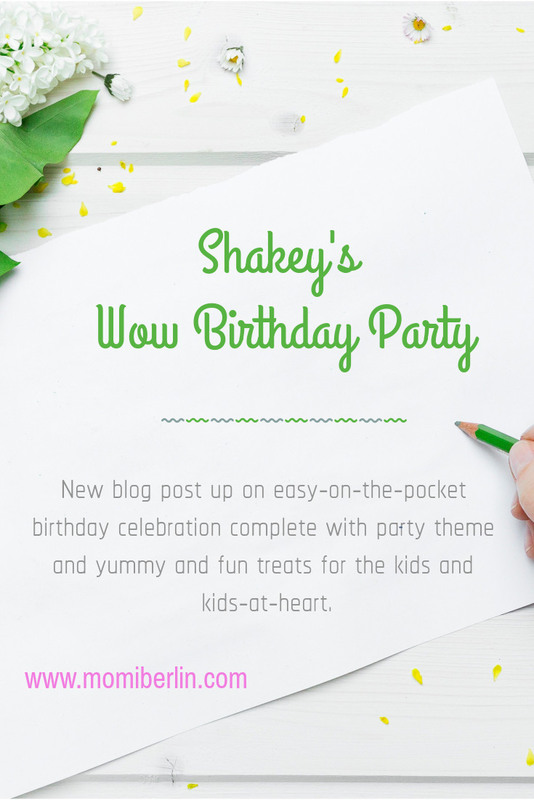 To make party coordination hassle-free, Shakey’s can also provide for a balloon arrangement, photo booth, balloon twisting, and a chocolate fountain. Details like kiddie salon and photo and video coverage can also be arranged with the management. But what excites me most is the free themed cake and gift for the birthday boy. He will get to have a free camping tent. I have seen how tents appeal to kids and definitely, both my SumoSam and Little Man would love playing inside the tent. When we need to fund something, my husband would always tell me to give him a few days to submit a plan or look for clients. Money is everywhere and we just need to work to get what is due to us. He can be real generous if he has the resources. And he can also be close-fisted when we need to. If I will be asked, I would want our SumoSam’s first birthday to be celebrated at Shakey’s Roosevelt. But it will still depend on the fund husband will give me. As for the meantime, if you are like me shopping around for birthday party places, you may want to check out Shakey’s. I find the place cozy enough for an intimate birthday celebration. They will handle everything from venue styling to food, entertainment and games, prizes and hosting. Only when I was looking for a party venue for SumoSam’s first birthday that I got to realize this – First birthday party matters. It is not really about the baby but the family and friends that surround him. They are the ones who would help the baby grow happy and healthy. Engaging them in your child’s birthday party is like enlisting them to be part of your child’s growth. When we meet these family and friends who’ve attended our four boys’ first birthday celebrations, we always have something to talk to, reminisce, and laugh about. And they would even offer memories to my boys and I could see in my children’s smile that though they can’t remember a thing or two about their first birthday, they feel they are cherished and appreciated. And they are always surrounded by people who care about them. How many pax would shakeys roosevelt can accomodate sis?